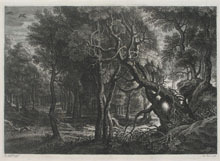 Engraving, ca. 1545. Hollstein 70, eighth, final, state with the monogram and rays added in the clouds. Etching. Bartsch XXI, 107, 6, first state before Daman’s address. 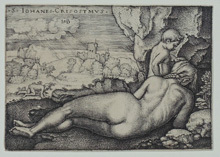 Etching and engraving, 1632-5. Blum 1041; Duplessis 1391; Lothe 243. First state of two with the address of Le Blond, in the next state changed to Tavernier. address added to that of N. de Clerck (shaded over). A Dutch Hulk and a Boeier , from a series of ten war-ships, engraved by Frans Huys (fl. 1550-70) and Cornelis Cort?